The late Reverend Alistair A.M. Sandeman was vicar of Cressing near Braintree in the 60's and 70's and was a railway enthusiast. All photos in this collection are credited to him. May thanks to Gavin Sandeman for permission to publish the photos. 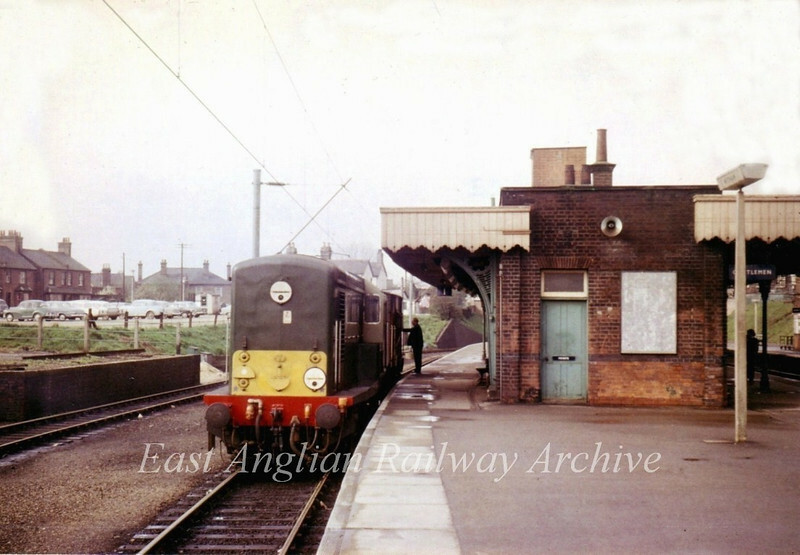 Witham 23rd April 1966. A class 15 with the last working to Maldon East. Revd. A. Sandeman.